For blocked drain cleaning we use a variety of high pressure water jetting machines. 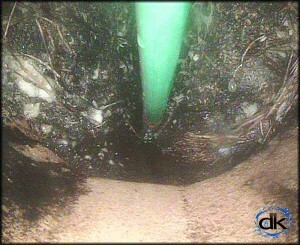 We unblock, clean and clear drain blockages. 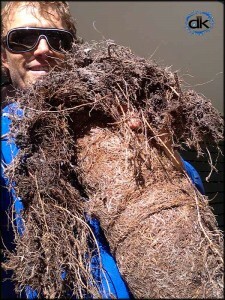 Drainage issues are caused by anything from tree roots to silt, build up of debris, fat and household grime. dRAINS kLEEN will take care of the servicing of all drain pipes on domestic properties, commercial buildings and industrial estates. We specialise in unblocking blocked sewer mains, storm water drains & pits, as well as blocked down pipes, sewage systems, septic systems, gully traps, baths, basins, showers, toilets, kitchen waste pipes, laundry drains and more. You can ALWAYS rely on dRAINS kLEEN – ‘The blocked drain cleaning specialists’ for cleaning and clearing your blocked drains, Sunshine Coast to Brisbane and beyond. Our qualified plumbers at dRAINS kLEEN specialise in blocked drain cleaning, electronic pipe location, CCTV drain inspection and broken pipe repair, because we offer ‘A complete blocked drain cleaning service’. No hidden costs and workmanship like no other in the industry. ‘There is no job too big or too small – Call us, we clean them all! Covering all areas throughout the Sunshine Coast and Brisbane. Whether you have blocked drains Brisbane, pipes full with tree roots in Buderim, smelly drains in Caloundra, a slow stormwater drain in Maroochydore, or a broken sewage pipe somewhere on the Sunshine Coast. When you need a quality blocked drain cleaning service, we’re here for you! Blocked drain cleaning – Why you would need it! Silt, sand, leaves, debris, fat and grease, generic build up. Foreign objects, cement or building materials within the drain. dRAINS kLEEN uses advanced specialised drainage equipment. We completely service and clean all drains, from 1″(25mm) all the way up to 10″(250mm). Storm water, sewer, bathroom drains, toilet, kitchen sink and pool piping, we clean then all. Our high tech drain machines will cut tree roots from your pipes to a mm off the pipe wall (unlike the original electric machines used by most plumbers, which only create a hole through the growth, offering a short term fix to a long term problem). dRAINS kLEEN can to rid your drains of awful smells and drainage problems. Blockages will be quickly and easily found with CCTV drain inspection cameras, robotic cameras & locators. Before and after – Blocked drain cleaning of main storm water drain by dRAINS kLEEN. Combining this state of the art technology, with the use high pressure jetters means we can unblock and clean your drains, no mess: no fuss. Our experienced plumbing technicians will walk you through exactly what is going on within your drains and offer the best solution. If you suspect you might have a problem you probably do! Don’t wait for an overflow : Call for an experienced blocked drain cleaning technician NOW!